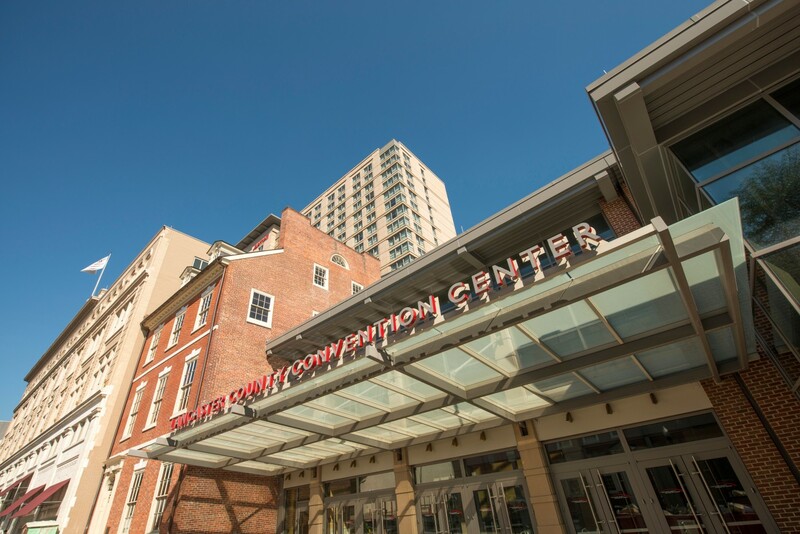 To those passing by, the Lancaster County Convention Center seems to be a completely modern building, boasting the perfect space and ambiance for gatherings of all sorts and all sizes. 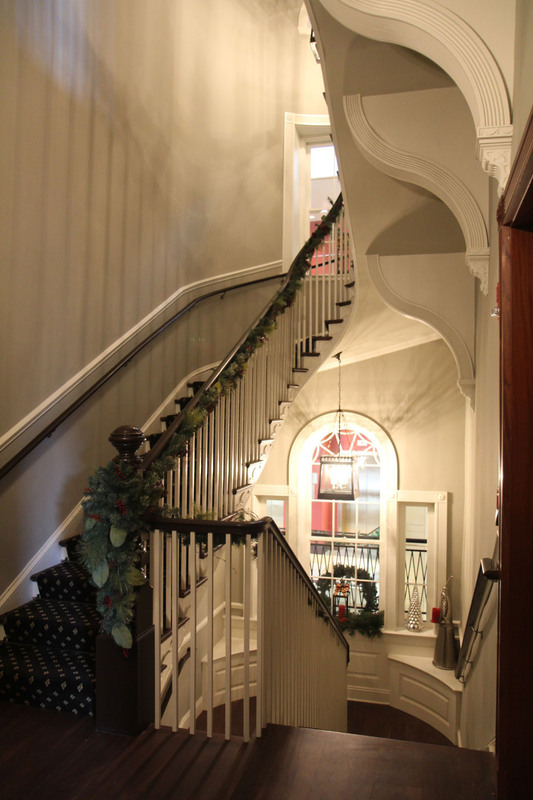 Inside, visitors’ curiosity is piqued as they come upon the Montgomery Mansion, integrated into the building as a primary design feature in the hotel lobby. 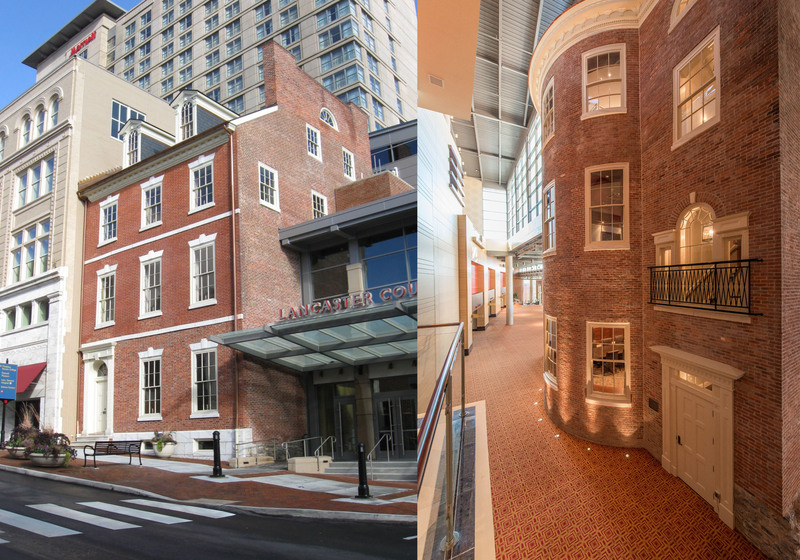 We believe this is the only convention center in the country where the design incorporated an historic building that is a functional component of the property. 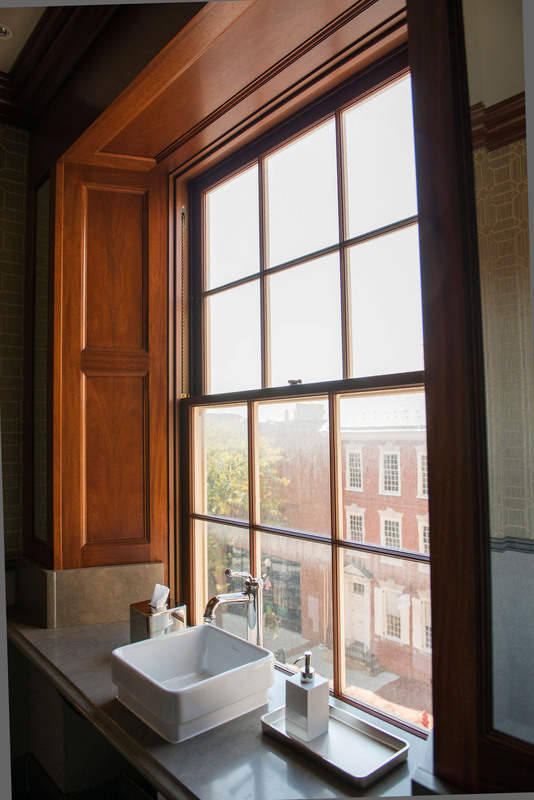 Built in 1804 as a home for prominent local attorney William Montgomery, this project restores the home’s original Queen Street façade and the rear curved walls that were demolished in the early 20th century. On the left, the mansion’s street view features exterior walls restored to match historic materials exactly. On the right, a double-loaded corridor plan features functional areas flanking the main pedestrian walkway on both sides. With rich paneling and a combination of woodwork both salvaged and designed with period details, this warm, inviting event space offers a perfect location for small group gatherings. 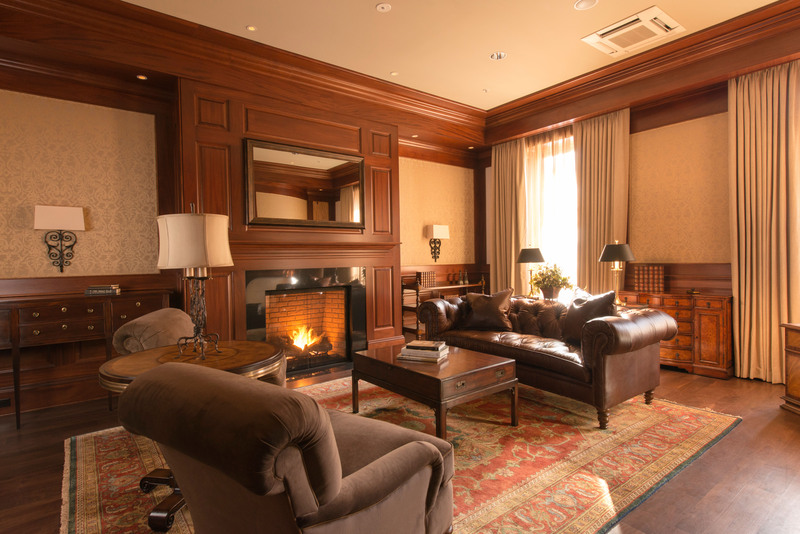 The original fireplace now features a convenient gas insert, and the mirror above the fireplace maintains the historic ambiance by disguising a video monitor. 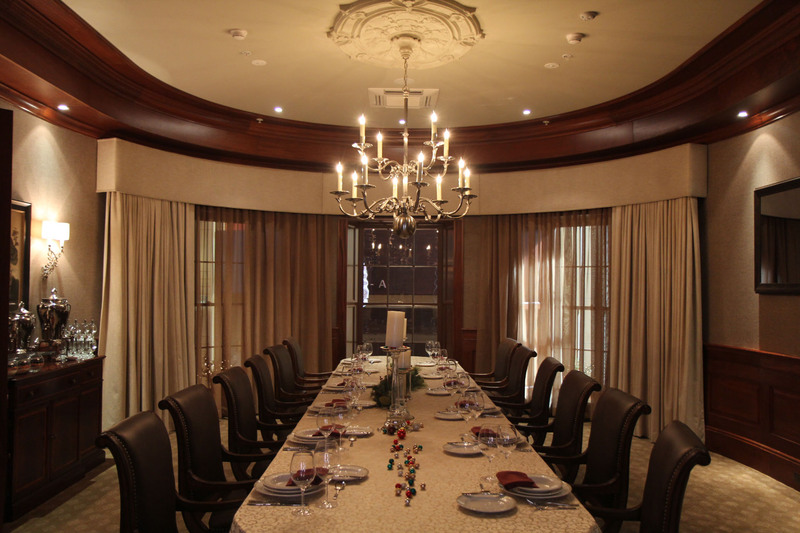 Perfect for a dinner meeting or special event, this restored historic oval room features opulent décor, true to the period. Accommodating a full range of convention center uses, the room is outfitted with state-of-the-art services, including lighting, data and video conferencing. Hand washing with a view! 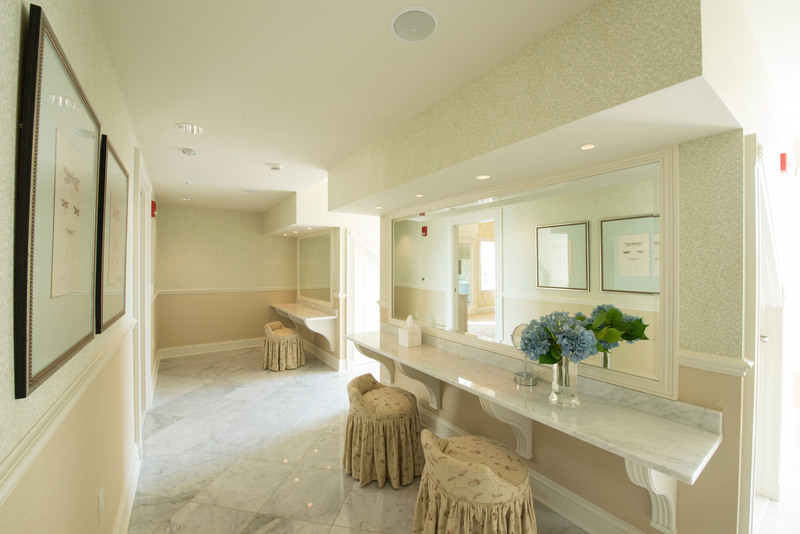 By incorporating creative design solutions, we were able to meet building code requirements for clearances in restrooms while maintaining the historic ambiance of the building. 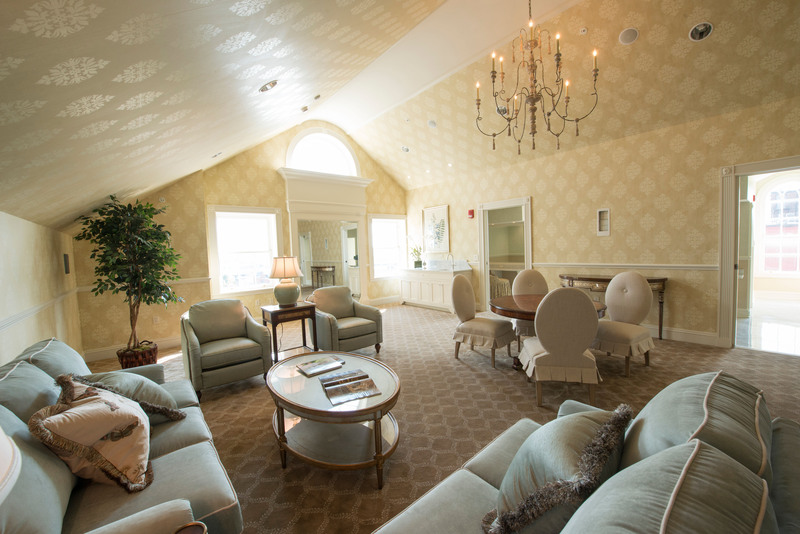 By reinforcing the floor structure and restoring the curved plaster roof ridge of the mansion’s attic space, we created a space fit for a princess. The convention center bridal suite features millwork and woodwork details consistent with the period’s historic charm, while a feminine interior design scheme sets the tone for a very special day. A convenient wet bar allows the bridal party to enjoy refreshments before or after the wedding. By making the most of the low ceiling space in the roof dormers, we created a bright, efficient make-up and hair dressing area in the bridal suite. Easy-to-clean marble floors add polish and elegance. As the primary original architectural element on the building interior, the grand stair features redesigned railings and structural supports that comply with codes while nodding to history. Portions of the stair once removed were restored, and a Palladian window was recreated, ushering in light and period ambiance.